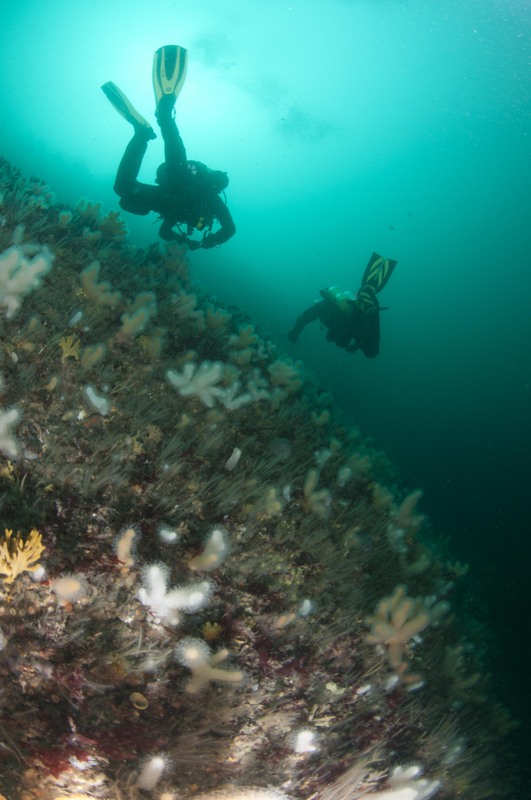 The Environment, Marine and Fisheries Group (EMFG) surveys Northern Ireland's marine and coastal habitats and species in order to comply with the requirements of national legislation and international commitments in place to safeguard marine biodiversity and the health of our ecosystems. The evidence gathered is used to provide information to support decisions about proposals, plans and projects. To ensure that the most important areas are effectively protected, we gather information to decide where to designate Marine Protected Areas (MPAs). Appropriate methods of management are recommended to maintain the condition and integrity of designated areas and populations of protected marine species. EMFG uses many different survey and monitoring methods, depending on the habitat, species or situation being monitored. They collect and report data to determine the ecological condition of our shores and to detect any changes that are taking place, either by natural processes or those influenced by man and to record any damage. EMFG works closely with the Northern Ireland Environment Agency (NIEA) including the Conservation Science and Conservation Designation and Protection teams in Natural Environment Division to designate and protect coastal designated areas. The Department works in partnership with other research organisations, carrying out diving programmes and programmes such as for Seal Monitoring and Cetacean Monitoring and monitoring of seagrass and invasive species. EMFG carries out surveys in the intertidal zone around the shores of Northern Ireland. In coastal areas, nearly all of the MPAs/Natura 2000 sites that are in terrestrial and intertidal areas are underpinned by Area of Special Scientific Interest (ASSI) designations and the results of surveys of intertidal ASSIs feed into the evidence reported to Europe to deliver on the remit for the Natura Directives. EMFG also conducts diving surveys, drop-down camera surveys and side-scan surveys, grab surveys etc. in subtidal areas, especially in the internationally important areas of Strangford Lough and Rathlin. Some of these surveys are carried out in partnership with AFBI. EMFG surveys and carries out detailed subtidal monitoring in some areas, for example where there has been damage and restoration is taking place. Seal monitoring in Northern Ireland mainly consists of counts of the grey seal (Halichoerus grypus) and harbour seal (Phoca vitulina) populations at haul-out sites where the seals rest, moult and give birth to and raise their pups. EMFG coordinates the Northern Ireland seal counts undertaken by the NIEA, DAERA Marine and Fisheries Division and National Trust. EMFG also carries out aerial thermal imaging surveys. The evidence gathered is used to provide information to support decisions about proposals, management, plans and projects. To ensure that the most important areas are effectively protected, information gathered is used to support designations of MPAs. EMFG recommends appropriate methods of management to maintain the condition and integrity of designated areas and populations of protected marine species.